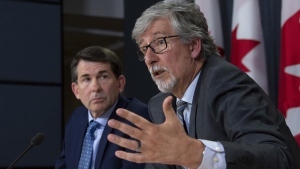 OTTAWA -- Feminism has been a key element of the Liberal party's appeal to voters since the 2015 election campaign but Prime Minister Justin Trudeau's handling of the fallout from the SNC-Lavalin affair shows that he's a hypocrite, opposition parties say. Former attorney general Jody Wilson-Raybould resigned from Trudeau's cabinet in mid-February and has alleged that Trudeau and his staff subjected her to relentless pressure to help Montreal engineering firm SNC-Lavalin avoid a criminal prosecution on bribery and fraud charges. Then, this week, Jane Philpott followed her out. A former health minister and Indigenous-services minister who was president of the federal Treasury Board when she quit the cabinet, Philpott was widely seen as one of Trudeau's most capable ministers. 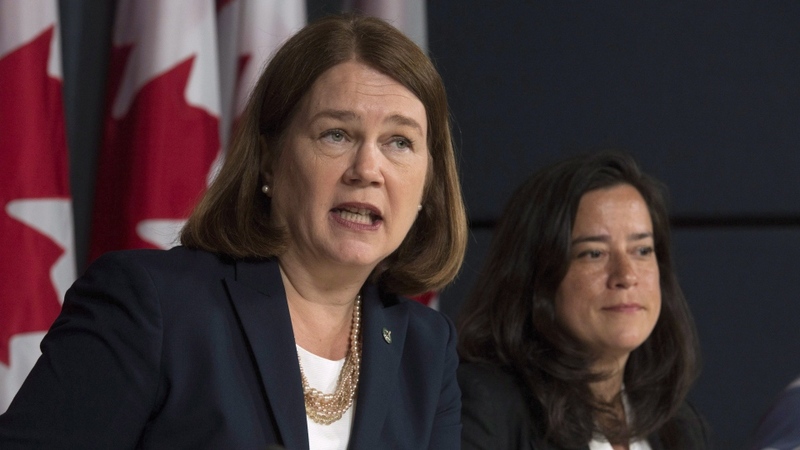 Both had been symbols of the Liberals' ability to recruit strong female candidates: Wilson-Raybould is a lawyer and former regional chief of the British Columbia Assembly of First Nations; Philpott is a family doctor with extensive experience abroad. Both were first-time candidates for the Liberals in 2015. After Wilson-Raybould resigned, Trudeau repeatedly called her "Jody" in defending his actions toward her -- a small indignity but one many noticed. Philpott's resignation letter included a long explanation of the principles of cabinet solidarity and mutual support and how she believed she could no longer sustain them. Asked about her departure, Finance Minister Bill Morneau began by observing that Wilson-Raybould and Philpott are close friends. "The attempt by the cabinet to highlight a personal relationship as an explanation as to why the cabinet minister resigned is completely false," Conservative deputy leader Lisa Raitt said in an interview. "That is not a fair commentary because it has nothing to do with friendship and everything to do with her (Philpott's) set of values and how she felt about standing there and toeing the cabinet line when she didn't believe a word that the prime minister was saying." The Liberals use their feminist agenda as a talking point but undermine powerful women by referring to them with gendered language and old tropes, Raitt said. The departures of the two ministers show that women who speak truth to power and have strong principles need not seek cabinet posts, the NDP's women's-equality critic Irene Mathyssen agreed on Tuesday. "I think women across the country are looking at that and understanding it," she said. A poll by Ipsos for Global News, which the company released Tuesday, found women responding to the pollsters were more critical of Trudeau's handling of the affair than men. Female respondents were more likely than male respondents to believe Wilson-Raybould's account of events than Trudeau's, more likely to believe that the story isn't overblown and deserves the attention it is getting, more likely to want a public inquiry or police investigation. Female cabinet ministers stuck up for the Liberals and Trudeau on Tuesday. Speaking in Longueuil, Que., on Tuesday, Foreign Affairs Minister Chrystia Freeland said the prime minister has her confidence, adding she appreciates the prime minister sees her family -- she has three children -- as an advantage rather than an problem. "It is a huge privilege for me to serve in this government, to serve as foreign minister for Canada," she said. Small Business Minister Mary Ng said in an interview that she does not see the cabinet departures as having an impact on the Liberal government's feminist agenda. "I look at the work that we are doing," she told The Canadian Press. "Of course I'm disappointed that both Jody and Jane have chosen to step down from cabinet but the work that we are doing as a cabinet and as government, particularly for women, is extraordinary."